You may have never thought about it, or heard about it, but the patio at the Irish Channel (2 blocks from Verizon - 5th & H) is a pretty awesome setup. 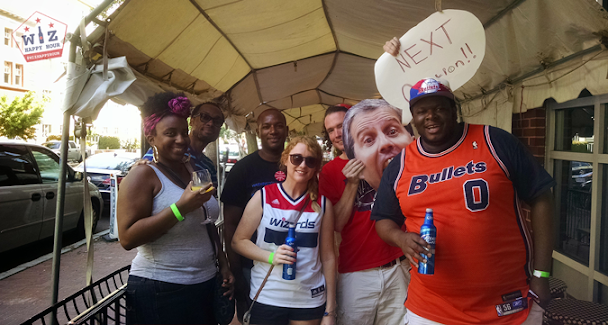 While most Wizards fans were pushing through crowds in dingy bars that have no light, the Wiz Happy Hour crew was enjoying the 80 degree sunny day drinking buckets and buckets of beer. 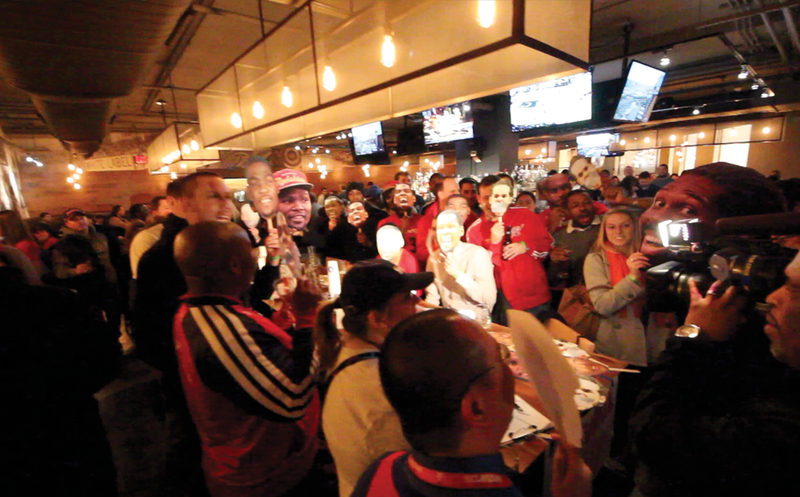 Such a good time and capped off with one of the biggest sports moments in DC ever, a Paul Pierce game winning buzzer beater (All event photos here)! For a 2nd straight game the happy hour started with some bad news. While we already assume Wall will be out for the playoffs, there was still some hope he might try to play. That was all crushed as news spread that the all-star would be missing the game once again. The happy drinking turned into sad drinking....for a moment....then things picked back up again. At one point I counted 7 bud light buckets in the Wizards fan section. This was one of the most excited crowds we have had all season long. And by excited I mean drinking heavily. 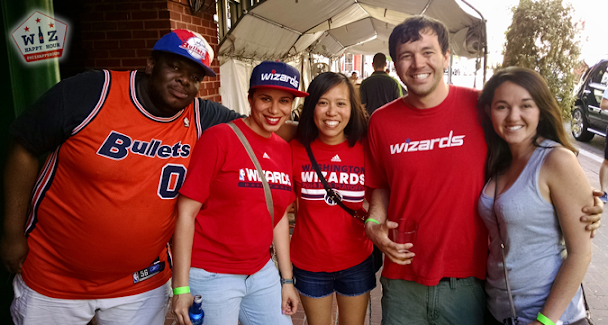 Everyone took advantage of the Wiz Happy Hour specials before they headed into the game to pay $11 per beer. By the end of happy hour most people had enjoyed a few drinks and the hope returned. We can do this without Wall!!!!!!! 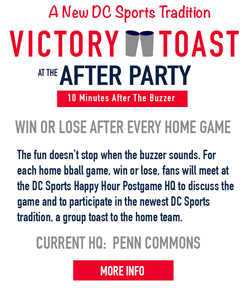 After the game (as will be with all home playoff games) a large group reconnected at Penn Commons for some victory shots. Dan Steinberg from the DC Sports Bog stopped by and we were excited to hear that Bryce Harper had hit a walkoff homer while we were at the Wiz game! 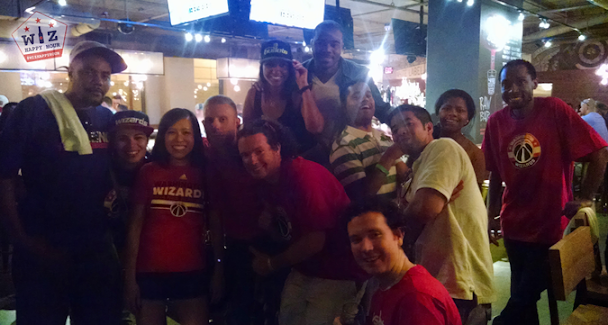 DC is definitely rising...hope you can join us Monday before Game 4!!! !